August 11 1943, Lincoln, Nebraska. 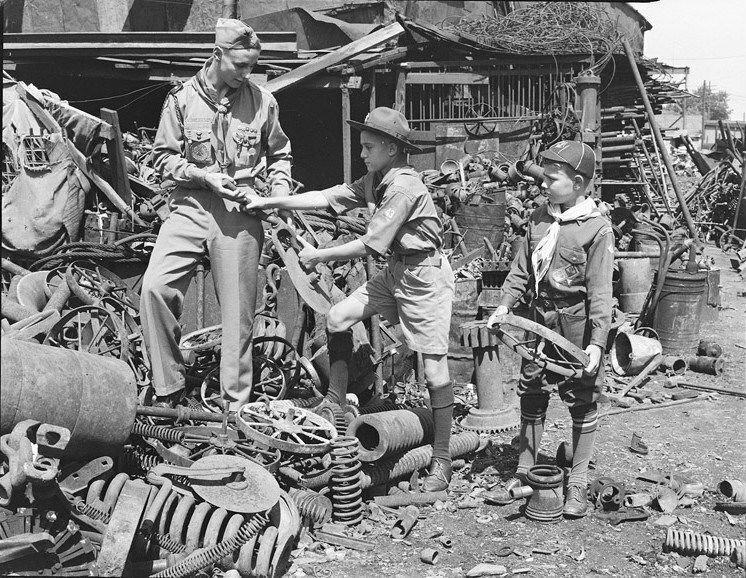 Local Boy Scouts giving scrap metal they found to aid the war effort. Nebraska State Historical Society.